Point pod units are fully integrated power-socket systems that seamlessly blend into your benchtop. Featuring a modern, streamlined and simplistic design, point pods can be customised to suit your style preferences and benchtop specifications. Its innovative design allows you to access three power sockets and two USB ports without taking up any extra bench or wall space, which will ensure your kitchen remains clutter-free. 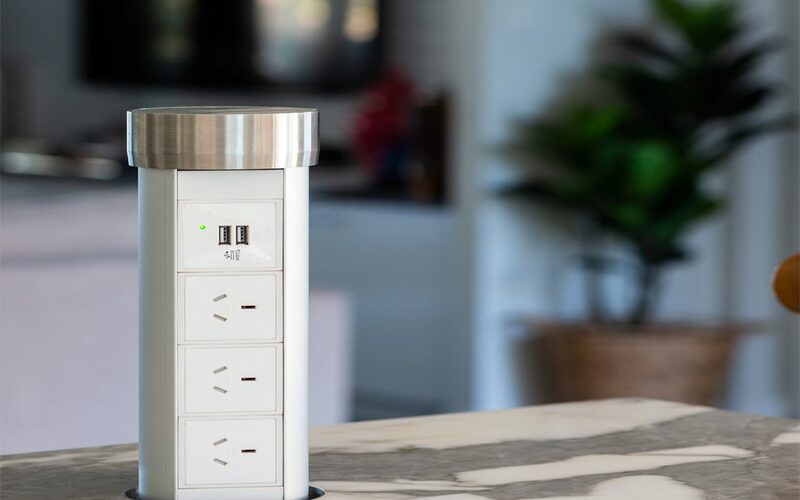 With one simple touch, power appears from underneath your benchtop, which allows you to conveniently stay connected when you need it most. More information about how point pods work can be found online.